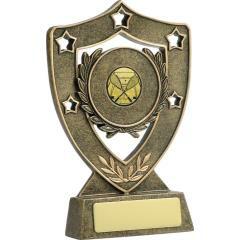 Shop for some serious squash trophies & medals at Awards and Trophies. Find everything you'll need for the big event, including squash trophies, squash medals, perpetual trophies and honour boards; Awards and Trophies has all your presentation needs covered! We were very happy with our plaque, that was produced to a high standard and arrived in time for the Grand Opening of Winyu Early Childhood Service, despite the tight deadline. Everyone at Awards and Trophies was very helpful and great to work with.